One of the special memorable films at the Cannes Film Festival this year that ran from May 17 -28 was Le Redoubtable – Redoubtable or the Invincible – directed by Michel Hazanavicius. The French director is acclaimed and known for his award winning The Artist starring his wife Bérenice Bejo – who is also in this film – a colorful and entertaining film about Jean Luc Godard. 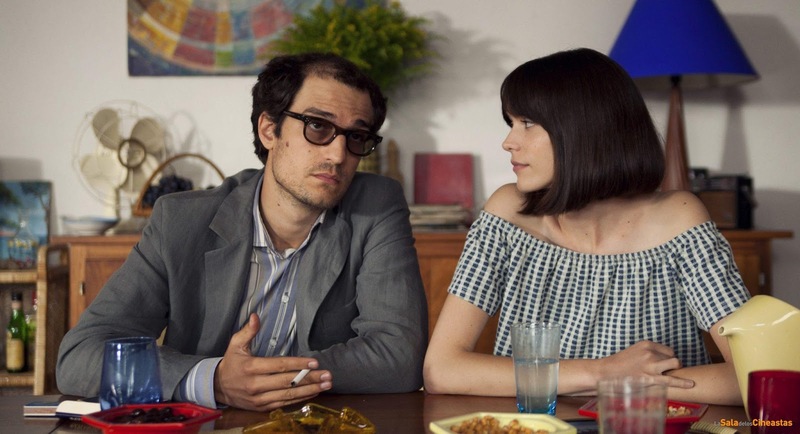 It evokes the time period of the 60s and Louis Garrel’s Godard is convincing. Redoubtable is based on the memoirs of Godard’s second wife Anne Wiazemsky played by Stacy Martin. The time period is 1967 when Godard is 37 and is shooting his film La Chinoise starring his younger bride Anne. Redoubtable is also about the evolution of Godard as a political filmmaker who moved from his more accessible films such as Breathless with Jean Paul Belmondo and Jean Seberg – an emblematic film of the French new wave with hand-held cameras , mobile tracking, nonsynchronous sound and lack of studio interference in the production of this innovative film. As time went on particularly during the student protests in May 1968 in France, Godard was challenged to move from his comfortable position as a popular filmmaker into someone whose films were particularly formally challenging that were difficult to understand. This was necessitated by his political genesis into an artist with radical political viewpoints. At this time, Godard is befriended by the Maoist Jean-Pierre Gorin and forms the Dziga Vertov group named for the revolutionary Russian filmmaker. One of the films he made during this time is La Chinoise starring Wiazemsky is one of their first films that espoused the views of Chairmen Mao. It is an artistic and public disaster. Anne Wiazemsky is seen in the woods where actors shout political slogans at her and she seems oblivious to their content. One could say that Wiazemsky gave off an aura of indifference to Godard’s evolution. During the Cannes Film Festival, Godard, FrançoisTruffaut, Louis Malle, Eric Rohmer and others protest that the festival occur while young people are rioting in 1968. They get the festival to shorten the event. Anne is shown vacationing at the home of a conservative general that Godard politically despises. When he wants to leave he is given a ride from someone he insults. These incidents infuriate Wiazemsky. She finds his moods increasingly exasperating and eventually wants to strike out on her own and make films with other directors. However, the emphasis of the film is always Godard, rather than the actress. Stacy Martin plays Wiasemsky and is successful in transmitting this almost air-like and vaporous young woman who does not seem capable of much insight. At the same time Godard is painted out to be someone indifferent to his surroundings and unable to take command of the identity crisis he finds himself in. He knows Anne will leave him before he begins their relationship and the film is about the destruction of their marriage.